This tip is so simple that I hope it’s not condescending. 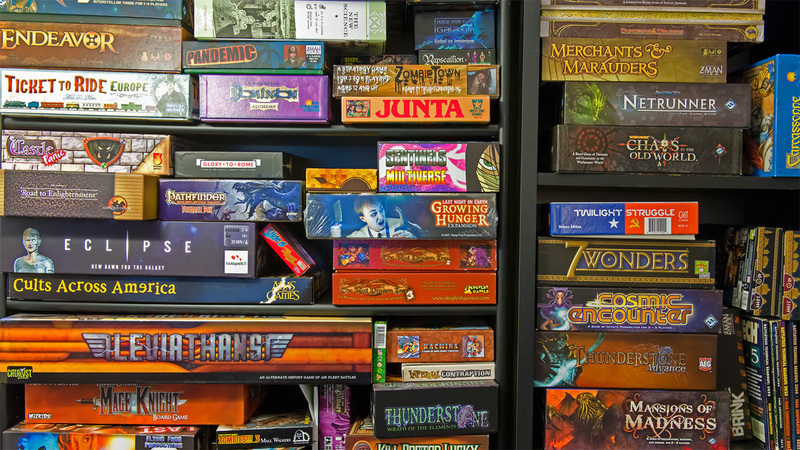 I know that many of you do not have a local FLGS…and you may not have gamer friends who are local. But this is still a possibility! Especially if you’re talking about tabletop RPGs. The ability to play RPGs online gives you unprecedented chances to try new games. You’re welcome to tweet me or post on my FB page if you want to try a new game. If I don’t know it, I promise I know somebody that does! That said, if you do have local gamer friends or an FLGS that does game demos, take advantage of every opportunity! Before you sink your hard-earned cash and much-treasured time into a game, try it out! You’ve likely noticed that I’m a bit of a fanboy of Fantasy Flight Games. I’ve never played a game produced by FFG that wasn’t of the utmost quality, both in terms of gameplay and production (though they do seem inordinately addicted to tokens of various kinds). FFG has, in my opinion, become kings of genre-bending games. What is genre-bending? It’s taking one type of game and integrating other game types into it. For example, The Lord of the Rings Living Card Game (which I do play) is a strategic deck-building card game. You know, like Magic: The Gathering and others. But…it’s different. How so? First of all, it’s cooperative rather than competitive. You are playing with other players, not against them. Second, it can also be played solo, which I’ve found quite enjoyable. Third, as you play the game, it progresses through a Tokien-inspired storyline, similar to an RPG. The story is told as you play. The LotR LCG is a deck-building card game, infused with RPG elements. It’s very cool. Arkham Horror: The Card Game – brand new game that I tried this weekend. A card game set in Lovecraft’s environment, wherein you get XP and progress through a storyline. Star Wars: Imperial Assault – a skirmish-style miniatures wargame set in the Star Wars universe. Your squad leaders gain XP and progress through a campaign in the cooperative setting. The competitive is a more traditional skirmish-style miniatures game. Star Wars: Imperial Assault would fit this bill too. Dungeonquest is a really fun hack-and-slash dungeon crawl board game. I keep this one around for whenever my brothers or other RPGers are in town. Those are just a few fun suggestions worth checking out. In the end, find a genre-bending game to expose you to different types of gaming. You’ll enjoy it! In the end, once you’ve tried a game that appeals to you, go for it! You might be surprised not only how often it makes it to your table, but also how many other people might enjoy playing with you. That’s one way to remedy the problem of no local gaming community–start one! As you diversify the games you play, the more opportunities you will have to find somebody that wants to play with you. What other genre-bending games can you recommend to us? And what tips do you have for finding new games? Sound off in the comments below or on our FB page! * Mice & Mystics – Great introduction to simple roleplaying and character advancement. Has a great campaign with individual adventures, beautiful miniatures, simple combat mechanics, and character advancement. * Pathfinder Adventure Card Game – Prefer card games? Pathfinder Adventure Card Game lets you pick a character, go on adventures, find equipment and magic items, and advance your character. Such good recommendations. I’m less knowledgeable from the other angle (those who are not RPGers). Thank you!